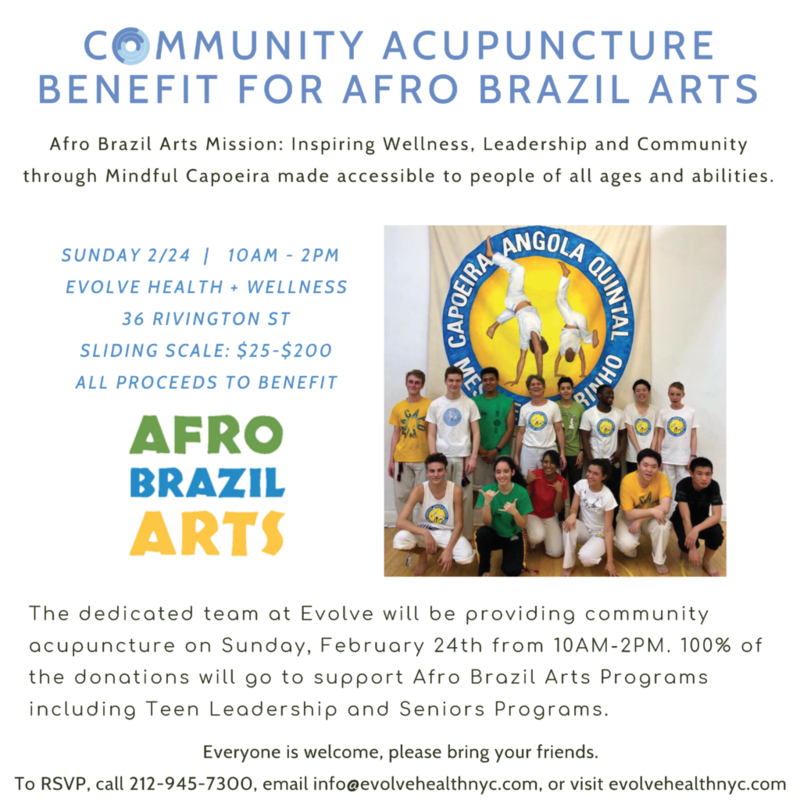 The dedicated team at Evolve will be providing community acupuncture on Sunday, February 24th from 10am to 2pm. Donation will be based on a sliding scale. All proceeds from this treatment day will go towards Afro Brazil Arts a non-profit based in The Lower East Side. If you’re looking for a low-cost option for yourself or a loved-one, be sure to RSVP below! Afro Brazil Arts (ABA) is a non-profit youth development organization that inspires wellness, leadership, and community through capoeira, a Brazilian self-defense and dance. Since 1991, ABA has touched the lives of over one million youth through performances and classes featuring Brazilian dance, music, and capoeira in schools and community centers throughout the US and Brazil.